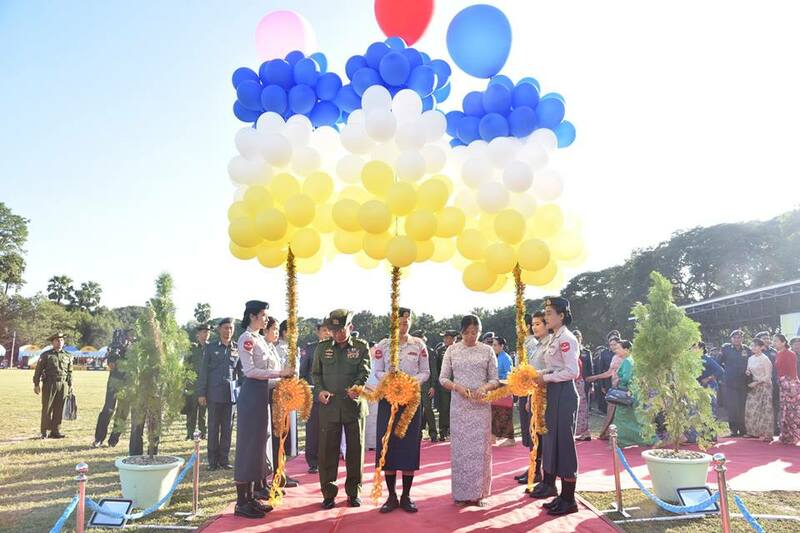 Commander-in-Chief of Defence Services Senior General Min Aung Hlaing attended the opening ceremony of a booth to commemorate the 70th anniversary of the Tatmadaw (Air) at the headquarters of Flying Training Base in Meiktila Station on 14 December evening. 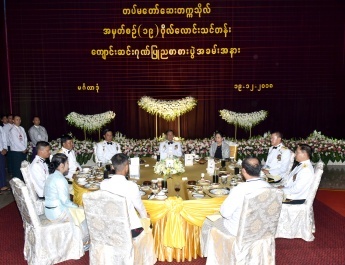 Also present on the occasion were Daw Kyu Kyu Hla, wife of Senior General Min Aung Hlaing, Commander-in-Chief (Navy) Admiral Tin Aung San, Commander-in-Chief (Air) General Khin Aung Myint, retired C-in-Cs (Navy and Air), senior military officers from the Office of the Commander-in-Chief, the commander of Central Command, commanders of airbase headquarters, officers and other ranks from Meiktila Station and their families, and invited guests. 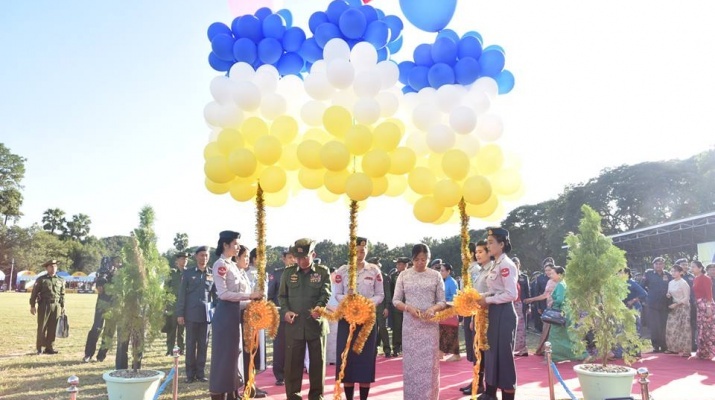 First, the Senior General and wife cut the ribbon to open the commemorative booth. 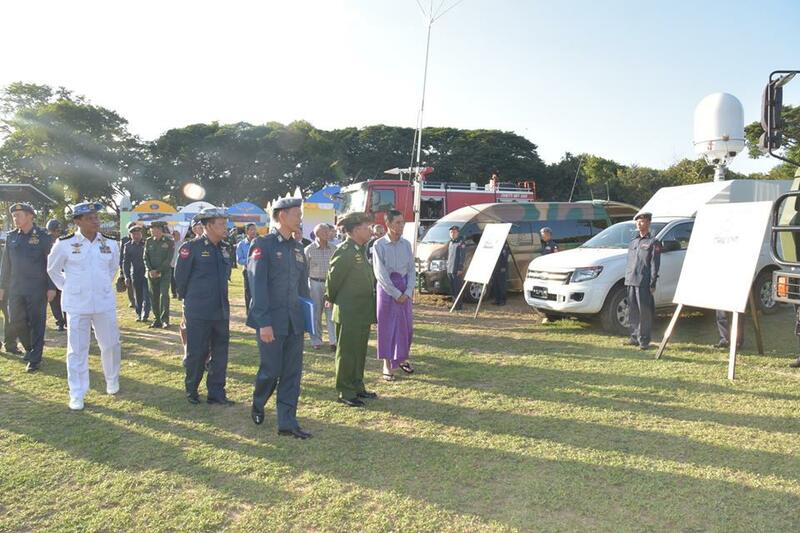 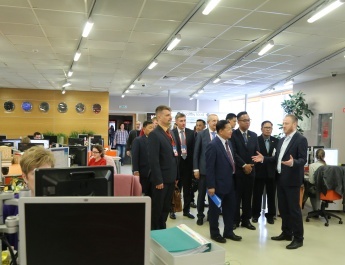 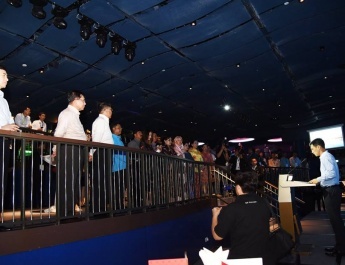 Afterwards, the Senior General and party, officers and families of Tatmadawmen looked round the commemorative booths and showrooms of each Air Force base. 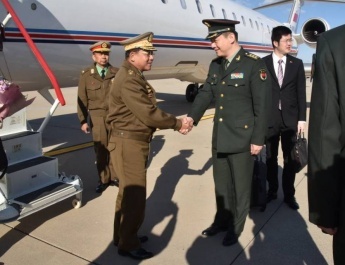 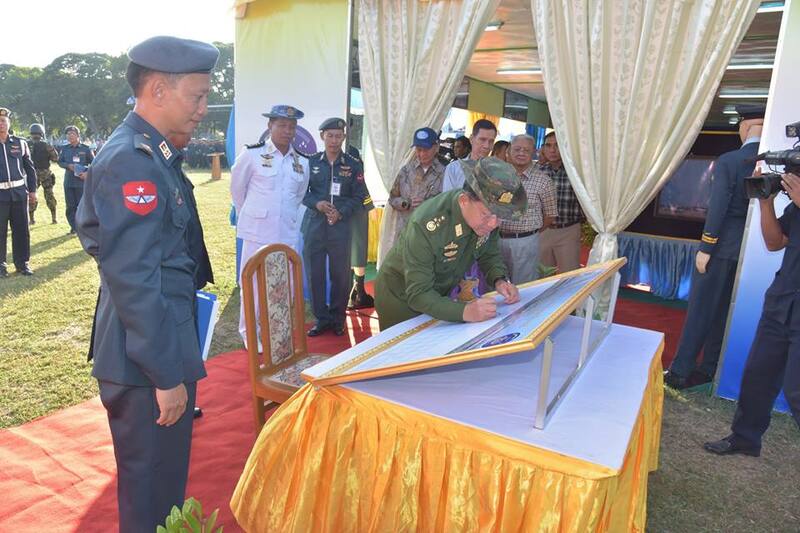 The Senior General and party then gave their signatures to mark the 70th anniversary of the Tatmadaw (Air) before they posed for documentary photos. 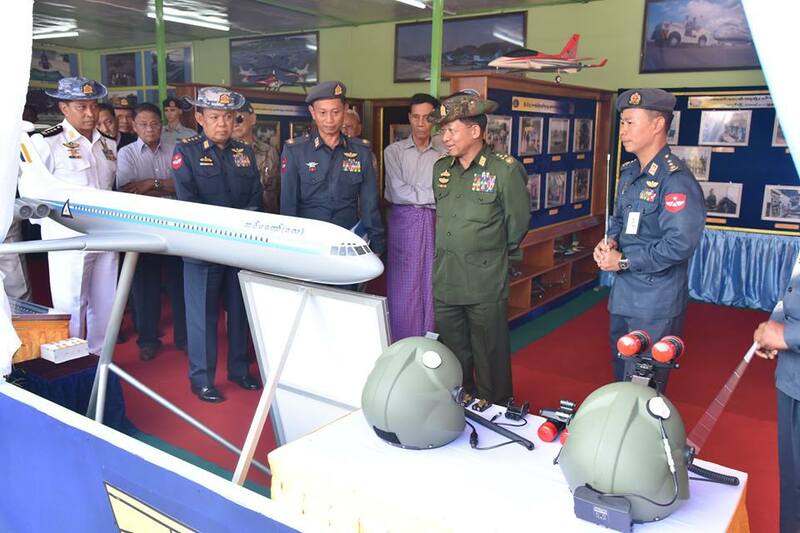 The documentary photos on the history of Myanmar’s Air Force and the Tatmadaw (Air)’s ceremonies to commission military aircraft, personal items for pilots and scale models of aircraft and operational motor vehicles of the Air Force, book shops and shops selling consumer goods produced by the Tatmadaw, domestic products, Myanmar traditional foods and kitchen crops were showcased at the commemorative booth.